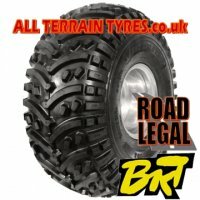 Whether you call them UTV "utility terrain vehicle", RTV "rough terrain vehicle" or SBS "side by side" vehicles, people have found a hundred and one uses for them. 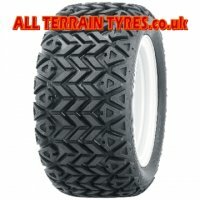 Despite their appearance, these machines have a very different tyre requirement than your regular ATV quad bike. 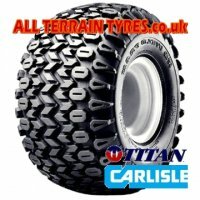 A quad bike is basically a frame, engine and four wheels with a relatively low overall weight. 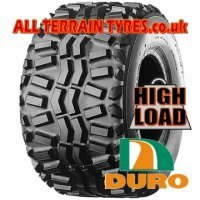 Take a Kubota RTV 900; This machine has a starting weight of some 800kg, and that's before the two big blokes load half a tonne of wet sand plus all their tools and equipment then climb aboard! 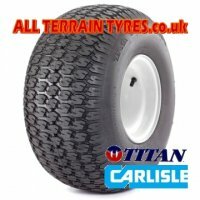 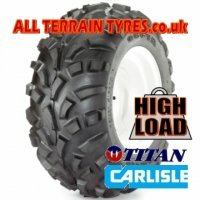 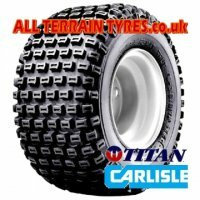 Even a good 6 ply ATV tyre will only have a recommended weight capacity of 190kg or thereabouts, so it is clear to see that although they look very similar, this type of tyre could fail prematurely due to overloading, and you definitely won't get a warranty claim passed by the manufacturers. 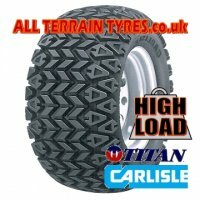 If you work your machine hard, look out for the "HIGH LOAD" logo on our tyre images and descriptions, this will help you to select a tyre that is up to the job for your JCB Groundhog, John Deere Gator, Kawasaki Mule, Kubota RTV, Polaris Ranger RZR or Suzuki Rhino. 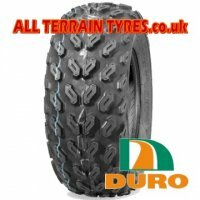 We recommend you should always ask for the manufacturer's load rating for this kind of tyre, rather than just trust the potentially misleading ply rating.